Hello friends and family, I am raising funds for the Secular Jayhawks. Our club serves as a safe space for those with non-theist ideologies and in the past year we have put on social events, special presentations and discussion meetings as well as co-hosting an interfaith panel and political forum. As a smaller club it can be hard for us to attain proper funding for some of our bigger events, this is why we have created this crowdfunding campaign. If you are able to support our future endveaours that would be wonderful, whether that be monetarily or with your attendance at events. 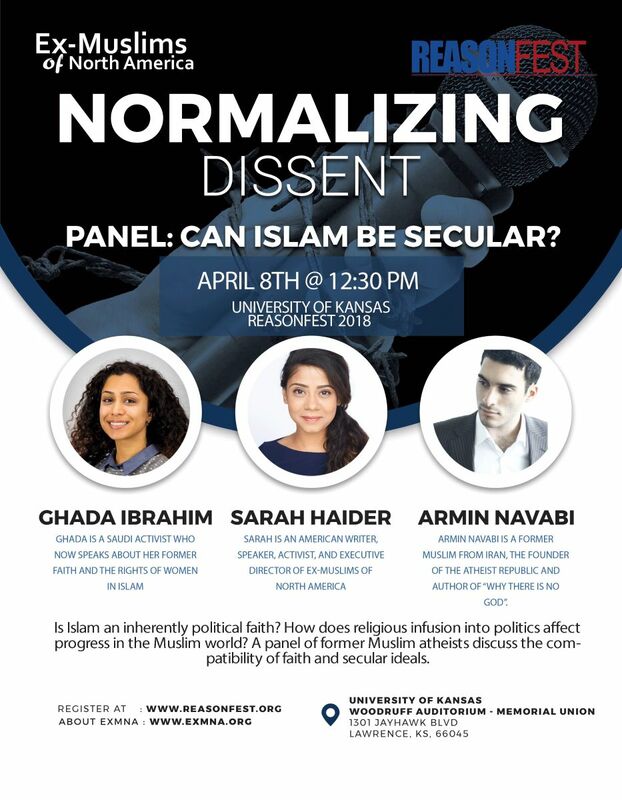 These funds will go towards Reasonfest 2018 which promises to be a wonderful conference filled with experts and skeptics from around the country including the Ex-Muslims of North America, Hector Avalos from Iowa State, Clay Routledge from North Dakota State University, and Kavin Senapathy an author at Forbes magainze. We will also be having presentations given by local KU academics; Dr. Paul Mirecki, Dr. Paulyn Cartwright, Ms. Abigail Barefoot, Dr. Christopher Rogan, and Dr. K. Christopher Beard. 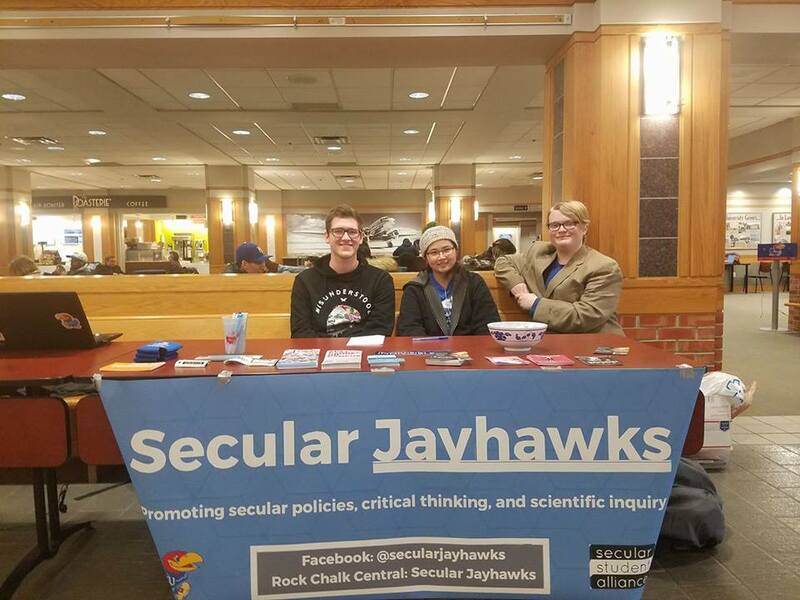 The Secular Jayhawks are the only student group at the University of Kansas that is dedicated to providing community, education, entertainment, and opportunity for atheists, skeptics, freethinkers, and humanists. We put on social events, have special guest lectures, hold discussion meetings, and put on a skeptics conference every spring called Reasonfest. We are raising funds for key events this semester, including bringing Dave Silverman to campus and our annual Reasonfest Conference. To ensure that the conference is FREE for everyone our budget must be paid for by donations and grants. The money we raise will go towards speaker honorariums, travel fees, lodging, and refreshments. 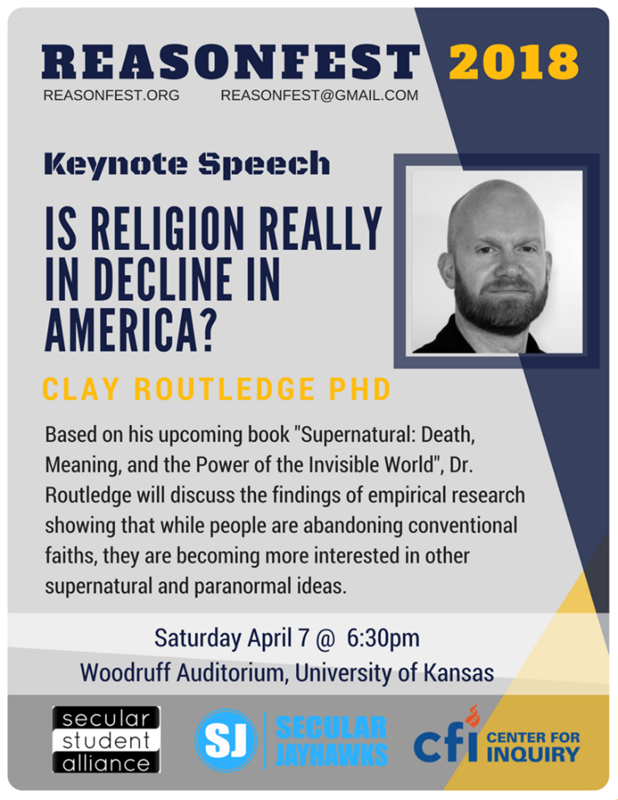 We are bringing in a diverse array of experts and academics from across the United States to speak on topics relevant to modern society, and more information can be found on the website at: reasonfest.org. Tim Dunaway 03/28/2018 $100.00 Good luck with Reasonfest 2018! Darrel Ray 03/21/2018 $25.00 Looks like a great speaker line up.